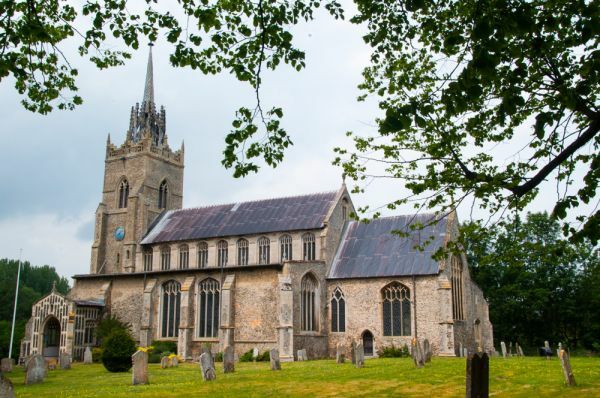 The pleasant Norfolk village of East Harling boasts a wonderful Perpendicular church which houses the most impressive collection of medieval stained glass in the county outside Norwich. The most obvious feature of St Peter and St Paul church is the 15th-century tower, which is topped by a lovely spire made of wood covered by lead. 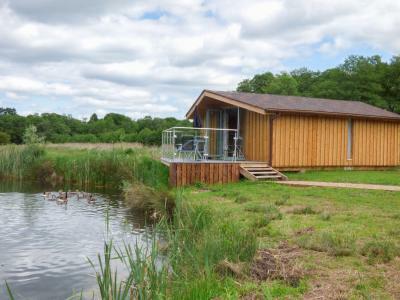 The interior is spacious and airy, a testament to the large Perpendicular windows and high clerestory. 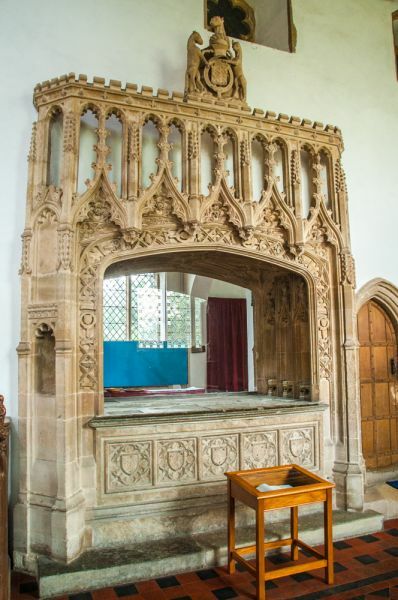 At the west end stands a late medieval font with decorated panels. 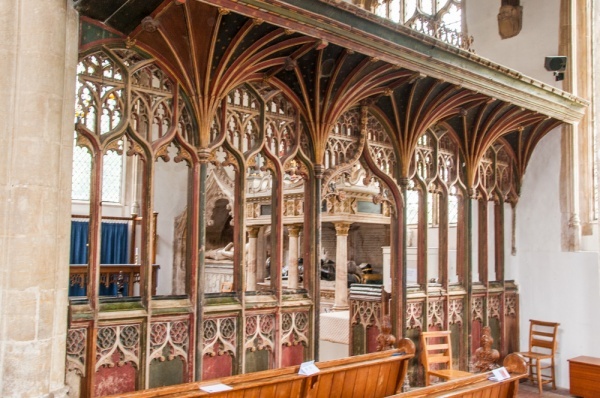 Facing the font, and backing onto the pews, is the lower section of a painted medieval screen, which once stood between the nave and chancel. The screen is beautifully painted and features heraldic shields. In the chancel are six miserere stalls. Four of these boast carved misericord seats which are in excellent condition. There are three large tombs within the chancel. The largest and most ornate is that of Anne Herling, or Harling, and her first husband, Sir William Chamberlain. The tomb was designed to serve as an Easter Sepulchre during Holy Week. 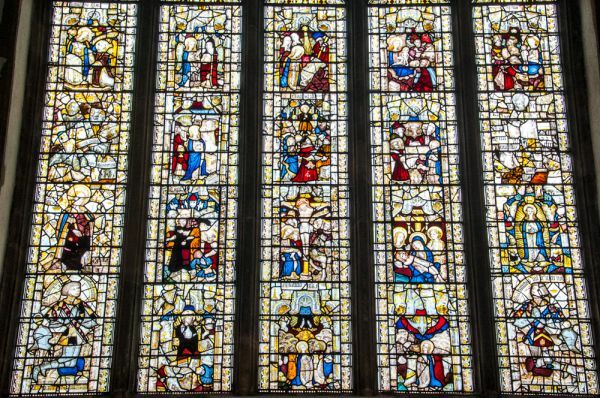 The couple was responsible for rebuilding the church, but it was Anne's third husband, Sir Robert Wingfield, who gave the glass that adorns the huge east window. It is this glass that is the true glory of St Peter and St Paul's church. It dates to 1480, though it was not all originally intended for this window. The glass has had a chequered history. It was removed for safekeeping during the turbulent days of Cromwell's rule, and stored in the attic of nearby East Harling Hall (now destroyed). In 1736 it was restored to the church, only to be removed once more for safekeeping during WWII. There are four rows of Biblical scenes, but on the bottom row the two outermost panels depict Sir Robert Wingfield and Sir William Chamberlain. 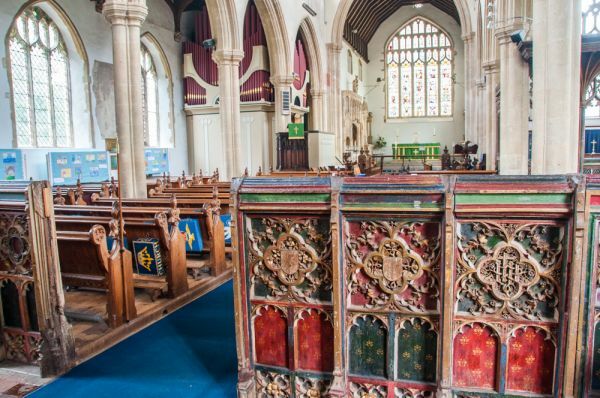 The condition of the glass is superb, with bright, vibrant colours, and it is easy to see why it is considered one of the historic highlights of any parish church in the county. There is a further pair of tombs on either side of the altar. These are both to members of the Lovell family. 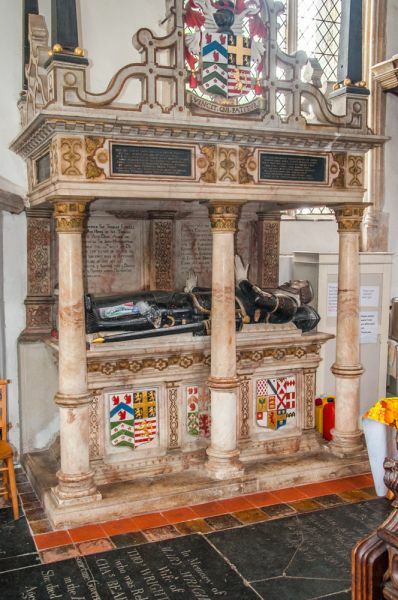 To the north is the tomb of Sir Francis Lovell (d. 1550). Above both tombs are 17th-century helmets, probably made for the militia that the parish was required to arm. To the south of the nave is the ornate Lady Chapel (also known as the Herling Chapel). This is set off by a superb painted screen on two sides. Within the chapel are two large tombs. 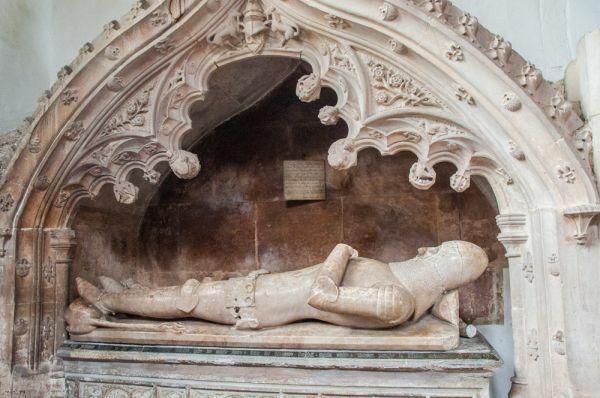 That to the east is of Sir Robert Herling (d. 1435), with a beautifully carved effigy in alabaster. Look for the carved basket symbols decorating the tomb. 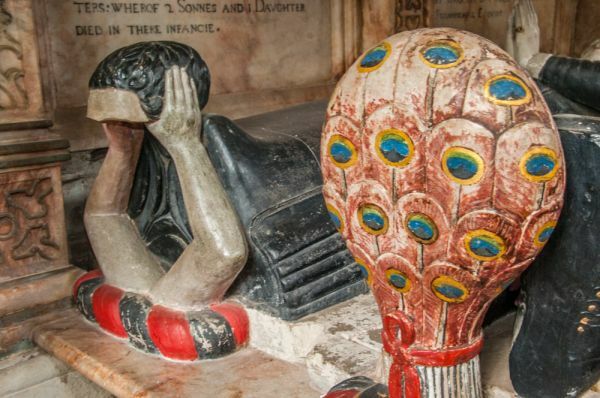 Immediately beside the Herling tomb is an ornately painted effigy tomb of Sir Thomas Lovell and Dame Alice Lovell, his wife. The most intriguing feature of this tomb is the couple's crests, located below their feet. His is a bundle of peacock feathers, hers a rather gruesome Saracen's scalp held aloft by disembodied arms. 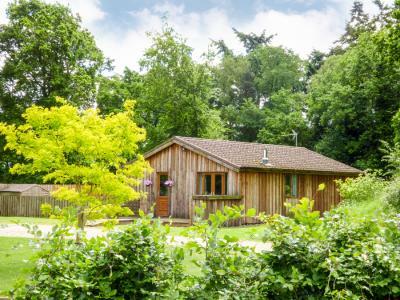 This lovely detached lodge is situated on the owners' estate, five minutes' walk from the village of East Harling and sleeps two people.